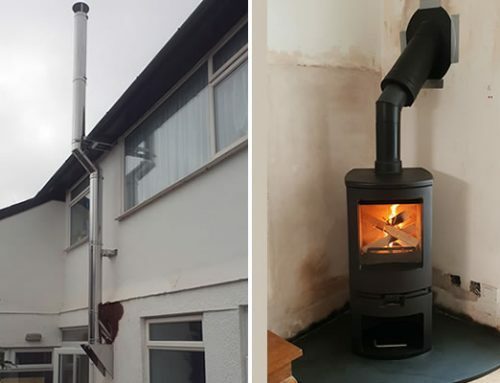 Yes, we install woodburners all over Somerset. This installation at Norton St Philip near Bath invovled removing the open fire grate and brick surrounds, then rendering and spraying black before installing the Charnwood C5 wood burner. By using a rear adaptor the stove is able to move forwards into the room.